The search for the right air purifier can be tough. While the manufacturers promise mountains and marvels, the majority of appliances fail to live up to the marketing hype. Most of us believe that a high price tag signifies high quality and when it comes to air cleaners, this is largely true. However, there are a few cheaper machines out there that do a very commendable job without the hefty price tag. 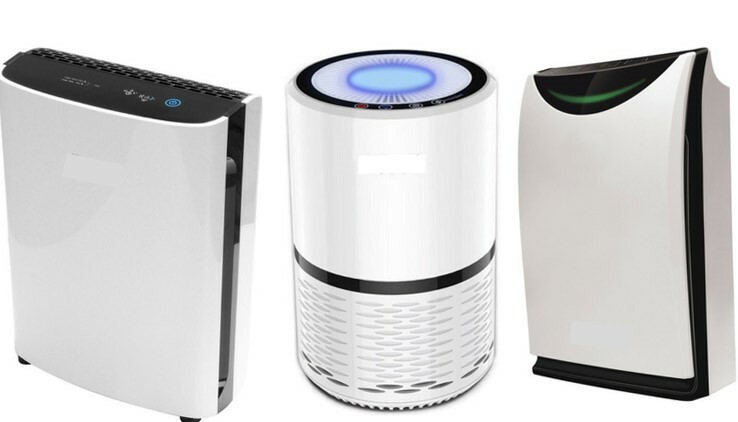 Depending on your preference and the specific issue you need the purifier to target, it is possible to find a decent air purifier under $100. To make your search a little easier, we’re going to offer up some useful advice on what to look for in a lower priced machine, and a list of current air purifiers that fit the bill for you to consider. A must-have feature you can’t allow yourself to overlook, is a HEPA filter. They’ve been around since the 1940’s and are still the most important filter option for any good air purifier. A HEPA filter can capture 99.97% of particles down to a size of 0.3 microns in diameter. For comparison, a human hair is about 100 microns in diameter. This filter has the most important part to play inside any air purifier, as it deals with the majority of the smaller contaminants, including pet dander, mold spores, bacteria, and even certain viruses. If you require an air purifier for any type of allergies, this is the filter you require the most. HEPA filters are not standard across all companies that make air purifiers. It is up to the individual manufacturer to produce their own version and then have it tested and verified as a true HEPA filter by the various governing bodies in each country they aim to sell their machine. As long as it passes, the company can use the name HEPA or True HEPA. Make sure you avoid anything that states it is ‘HEPA like‘ or ‘Similar to HEPA technology‘ as this usually means they have produce a cheaper filter that isn’t as effective as the real deal. The company are simply using a legal loophole so they can still use the HEPA name and essentially fool people into buying an inferior product. If your air purifier combines a real HEPA filter with a pre-filter, which captures large particles on their way inside the purifier, it has a solid filtration system capable of handling all the usual pollutants in your home. Other options, such as carbon filters, UV lights, and Ionizers are great, but a HEPA filter is vastly superior when it comes to picking up the contaminants many of us are purchasing an air purifier for in the first place. Smart air purifier features are a wonderful addition to any unit and can make your life easier, but when looking to purchase a cheaper model, they are usually the first options removed in order to keep costs down. Air quality sensor – this sensor evaluates the air quality and displays it through an indicator (usually an LED light). In most cases, you can set the air purifier to an auto mode, so as soon as the air quality worsens, the unit pumps up the fan speed. Filter change indicator – HEPA filters usually need to be replaced once every 9 – 12 months. Monitoring their quality can be tough. An indicator can tell you when to replace the filter. Timer – The timer can help you set the time when you want the air purifier to stop working, thus saving energy. Sleep Mode – When your air purifier is in the bedroom, you want it to dim the lights and reduce the noise so as not to interfere with your sleep. Wi-Fi – Allows control of the purifier via Wi-Fi, so you can tell it what to do remotely. It’s a highly convenient feature for saving energy and time. These options are nice to have, but they don’t affect the proper operation of an air purifier. Some air purifiers can be truly noisy machines, especially when operated at higher speed settings. How sensitive are you to the noise? Are you a light sleeper? Anything higher than 45 dB for the lowest fan setting can pose a problem for light sleepers. People, who need a quiet environment to work or read, won’t like an air purifier that produces more than about 55 dB. It’s usually easy to find information about the air purifier noise levels by reading reviews or skimming over the manual. Does the air purifier fit well with your décor? Is it too large to look good in your room? Even the most excellent purifier won’t do you any good if you put it in a room bigger than it can handle. Always check how large of a room an air purifier can clean. It’s usually mentioned in the description. However, the manufacturers don’t always tell you the truth, so it’s better to read the reviews or use a simple trick. Find the CADR rating of your air purifier and multiply it by 1.55. You’ll get the area (in square feet), which the air purifier can really service. 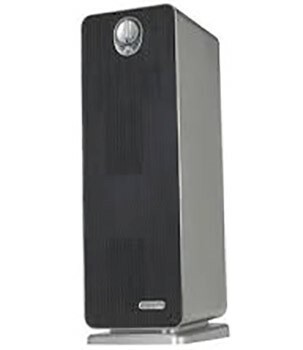 Now that you know what is important in an air purifier, you can check out these reasonably priced models that get decent reviews from professionals and users alike. The unit is small and impressively energy-efficient. It uses only 28 watts when operating at the highest speed. 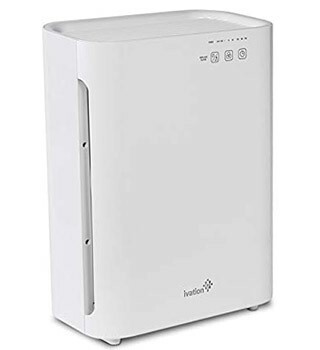 Another nice feature is the noise levels are low too, about 43 dB on the lowest setting.This air purifier is a good choice for a small room or cubicle under 90 square feet. It has a preliminary filter, a TrueHEPA filter, and an activated carbon filter, thus being able to deal with harmful particles, chemicals as well as odors. It doesn’t have too many smart features. The only one is the filter replacement indicator. It’s a well-designed tower unit, which weighs only 7 pounds and produces 42 dB at the lowest fan speed and 58 dB at the highest. Out of the smart options and sensors, this purifier only has a filter replacement indicator.This unit is designed to handle rooms between 165 and 180 square feet. It has a 4-stage filtration system, which includes a pre-filter, a carbon filter, a TrueHEPA filter, and a UV-C light, which is great for handling mold spores. It’s a very quiet machine, which produces only about 38 dB at the lowest fan level and about 58 dB at the highest. The blue pure 411 is extremely energy efficient and one of the unique selling points of the device. The only smart option for this unit is the filter replacement indicator.The 411 by blueair can handle rooms up to 175 square feet. It has a nice and sleek design that houses a 3-stage filtration system, which includes a pre-filter, a HEPA filter, and a carbon filter. The weight is just over 3 pounds. The unit has an impressive 3-year warranty and a filter replacement indicator. It fits into any décor and doesn’t take up too much space. 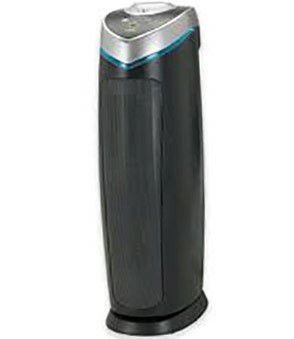 The purifier weighs about 9 pounds so it’s easy to move around the house.Another GermGuardian tower purifier and suitable for rooms up to 155 square feet. It’s been around for a few years now, but according to many reviewers, it’s still the best air purifier under $100. It has a 4-stage filtration system with a pre-filter, a carbon filter, a TrueHEPA filter, and a UV-C light. The unit is super quiet. 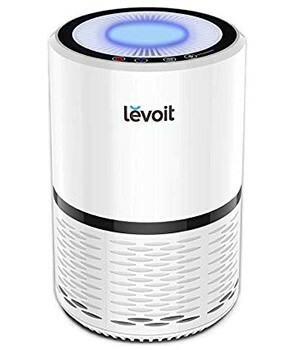 It produces about 30 dB at the lowest fan level and 50 dB at the highest setting and comes equipped with a timer.This air purifier can service rooms up to 200 square feet. It has a powerful four-stage filtration system, which features a pre-filter, a carbon filter, a HEPA filter, and a UV-C lamp with an ionizer (optional). 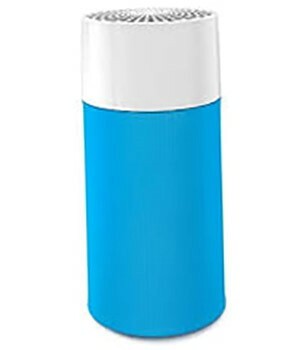 The air purifier is small and compact and weighs about 9 pounds. Unless you’re looking to service extremely large rooms, there really is no need to spend a fortune on a large air purifier. Units under $100 can do an excellent job cleaning the air in most normal sized rooms – Just as long as you forgo the excessive smart tech options that bump up the price.